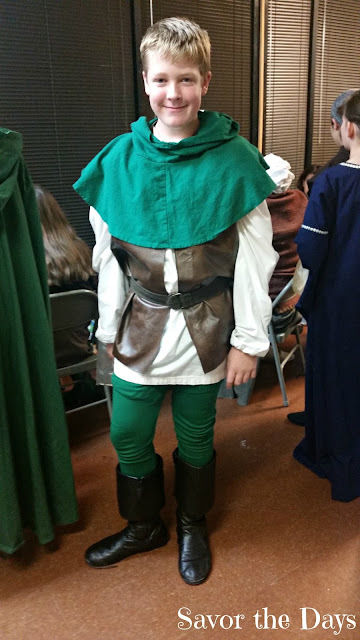 Nicholas just completed performing as a Merry Man in The Somewhat True Tale of Robin Hood at the Actor's Conservatory Theater. This was his 6th main stage production at the ACT. This show was a little different than usual. The ACT historically has always produced musicals but this show was a regular play. Nicholas especially enjoyed this one because he doesn't like the singing and dancing required in musicals. He just wants to act! 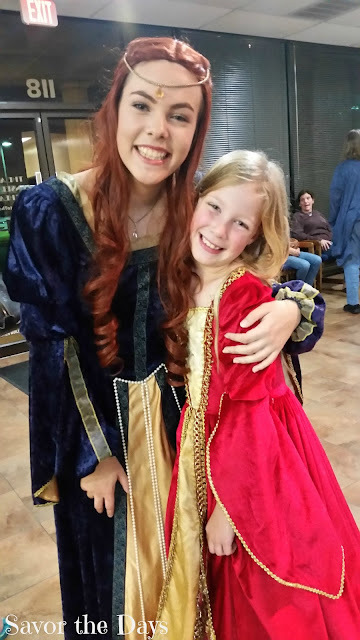 This show was especially fun because we have just completed our studies of the middle ages for Tapestry of Grace where we studied the legend of Robin Hood. We read aloud the book and I even found a DVD at our library of the 1938 movie, The Adventures of Robin Hood, starring Errol Flynn. I love old movies and the kids laughed out loud at this one. My kids love dressing up in costumes, even when they are just hanging around the house doing their school work. The ACT encourages kids to come to see their shows in costume so Rachel went to the show dressed as Lady Marian and she wore her medieval times princess costume. The next production at the ACT will be Elf Jr. Be sure to get your tickets at www.getintotheact.org. It is a great way to introduce your kids to live theater.